Midnight Mansion Forums - New mansion- Spelunker! 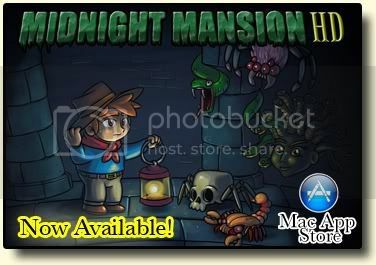 Midnight Mansion Forums › General Custom Mansions Area (Mac and Windows) › Free Up- & Downloading › New mansion- Spelunker! I bet nobody thought they would ever read those words again! LOL Anyway, there are a few mansions on my old drive that won't take too much work to finish, and time willing, I'll get them uploaded. "How come things that happen to stupid people keep happening to me?" Thank you Josephine! I have to find my old PowerPc though to play it. Thank you. Let us know if it works, that would be great!